I have some of the best recipes for clean eating snacks. They are seriously some of the easiest recipes to make. The best part is they are all made with real food which means they are definitely clean eating. Some of these recipes only have 3 ingredients. That’s how you know a recipe is easy to make. Can you believe that you can eat fudge that is healthy? Yes, you can! All of these recipes are healthy and made with real clean ingredients. Which of these clean eating snacks look good to you? Which one are you going to try first? Paleo almonds recipe that reminds me of my childhood. There’s nothing better. Traditional goodies have always been one of my favorite things about holiday time. These baked Paleo zucchini chips are a healthier version of chips than would be typically bought at the store. 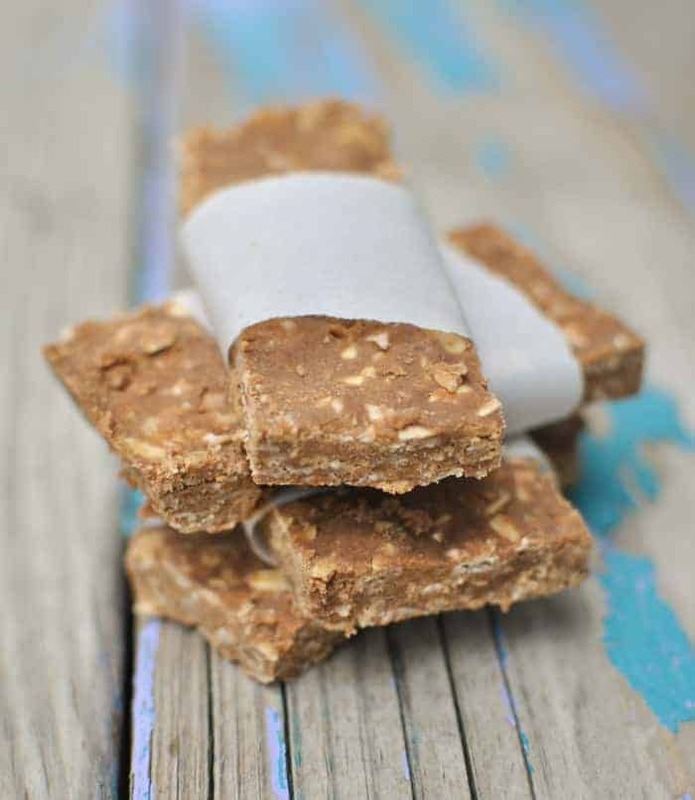 Paleo snacks-on-the go can be hard to find, so I’m happy to bring you this recipe. This curried, baked Paleo zucchini chips recipe is so delicious and much healthier than anything you would buy in the store. These maple candied pecans seriously only take 5 minutes to make and only have 3 ingredients. You can save tons of time and money and make these yourself. Plus, everything tastes better homemade. These make an easy neighbor gift, are a delicious snack and are perfect for topping salads or sweet potatoes. I like to use this Paleo baba ganoush recipe a lot like hummus and dip vegetables in it or use it as a sandwich spread instead of mayonnaise. I love that the only ingredients are peanuts, date and salt. They only take a few minutes to make and I love them for either breakfast, a snack or a quick, healthy dessert. The secret to a perfectly smooth hummus is peeling the skins of the chickpeas off. It is definitely time consuming, but makes a HUGE difference. If you hold each chickpea between two fingers and pinch it a little, the skins will sort of just pop off. it adds about an extra 8-10 minutes to the prep time, but I think it’s worth it. You can make the hummus with the skins on, but it will not have the same smooth texture.